DESCRIPTION This listing features one pair of super bright Cree 100W 5202 (aka 5201 2504 9009 H16 PS24W) LED bulbs to replace daytime running lights or driving fog lights Each of this 5202 LED bulb equips 12 pieces High Power Cree LED chips with magnified projector lens built in full Aluminum housing (much brighter than others low quality bulbs). The special 2 chrome layers design will reflect the light in opposite ways to light up whole housing and gives an amazing lighting effect. .
H3 80W CREE Super Bright LED White Fog Tail Turn DRL Head Car Light Lamp Bulb X2. · High power: 80W per bulb. 2 72W 9006 HB4 8000K LED Low Beam Headlight Fit For Honda Civic 2004-2013 US. 144W 9005 H11 8000K LED Headlights Fit For 2007-2013 GMC Sierra 1500 2500 3500. Power: 1344W Number of chips: 2x 24pcs chips Voltage: 9-32V Lumens Output: 208320LM Beam: 30 degree (Spot beam pattern) Working Temperature: -40~ 85degree Celsius Color Temperature:White : 6000-6500K,Amber :3000k Protection Rate: IP68 Material: 6063 aluminum profile, aluminum bracket, PC Lens Working Life: 50000 hours Package Included: 2 x 1344W 7inch Led Work Light Bar Without Wring Harness kit. 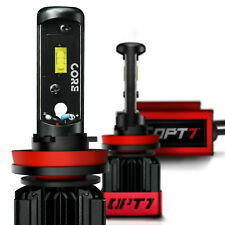 Pair 9007 2300W 345000LM CREE LED Headlight Kit High/Low Beam Bulbs 6000K 2pcs. 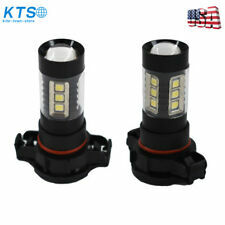 2300W 345000LM 4-Sided LED 9006 Headlight Kit Low Beam Bulbs 6000K High Power. 5202 CSP LED Fog Driving Lights 2550W for Chevrolet Silverado 1500 08-2014 6000K. 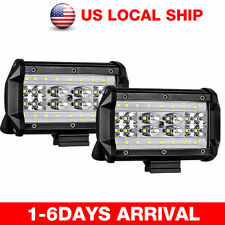 2PCS 4"Inch 27W Round Pods Flood LED Work Light Driving Fog Lights Lamp for Off Road Truck Tundra ATV SUV Jeep JK TJ LJ Boat ATV Chevrolet Van Bobcat Pontoon F150 Sierra Zero Turn Tractor. Compatible forDC 9-32V vehicle s and other devices, such as trucks,jeep,utv,atv,suv,boat,motorcycle,etc. LONG LIFESPAN - In order to get best heat dissipation, our led light pods takes6063 aluminum which can performance best heat dissipation and best seal ability alloy as the heat sink and casing. Features for Relay Cable Relay: 12V/40A. Pre-installed relay. Features for Lamp LED bar s ize: 80mm x 97mm x 64mm (H x W x D) (excludes bracket). Total LED: 6pcs. Led lifespan: 35000 hours. Warranty: 1 year warranty. MICTUNING 18W Flush Mount LED Light Pods Flood Light Bar Front Rear Bumper Grill Backup Driving Lamp for Jeep SUV UTV Pickup (2pcs). LED Power: 18W. Light Pattern: Flood Beam. LED Lamp & Headlight & Other. 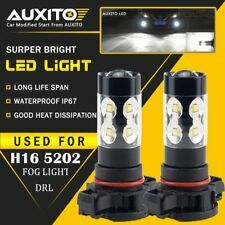 This item is a pair of the latest ultra-bright high-power CSP SMD 5202 white led bulb, specifically for the Daytime running light fog lamp replacement, LED chip: each light bulb 6 high power CSP led lights. no radio interference，intelligent constant current, overload protection,Wide range voltage Warranty:2 year warranty for manufacturer quality. work lifespan: 60000 hrs Color: 6000K xenon white Cross reference: 5202,5201,9009, H16 old version.etc; light output: 1300 lumens per bulb, two bulbs total 2600 lumens. Application: Used to replace DRL fog lamps. Voltage: 12V ~ 24V, in the IC driver, the current than the normal LED bulb in the mark more stable, longer life. Package: Includes 2X H16 5202 CSP SMD LED white bulbs. For most vehicles, simply dial and play directly fo. Beam Angle: 270 degree@low beam,360 degree@high beam. LED Headlight Bulbs. Plug Type: 9005/HB3,High Beam. 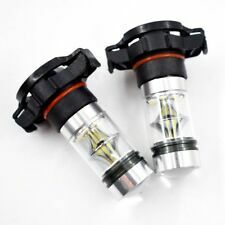 ★2x 9005 LED headlight bulbs. LED Power: 1900W/set 285000LM/set. Ballast canbus make the LED light stably. Power: 624W. Beam Angle: Spot (30 degree) & Flood (150 degree) Combo Beam. We are the Largest Manufacturer of Light Bar & Headlight Bulbs. Price: Factory outlet. Brightest bar on market CURRENTLY. LED Power: 144W (48 x 3W High Intensity LED). Beam Pattern: Flood Spot Combo Beam. Spot & Flood Combo Beam. Super bright view area, see clearly at night, excellent visual effect,it is fit for fishing. 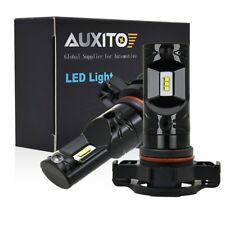 PRODUCT Description: Bulb Size: 9005 HB3 Application: Fog Driving Lights / Daytime Running Light DRL LED Type: 4pcs 2020smd Beam Type: 360°Beam Angle Color Temperature: 6000K Super White Lumens: 1500LM/Bulb Working Voltage: DC 12V to 24V Lifespan: 50000 working hours ,Adopt imported chips, stable quality, long service life(Concave-convex appearance, increased heat dissipation surface, perfect heat dissipation. Beam Angle: 30 degree(spot beam) & 150 degree(flood beam) combo. LED WORK LIGHT BAR. LED HEADLIGHT. Wide application to more truck styles. If you are looking for high quality LED Headlight & Work Light Bar, you are in the right place ! LED Power: 240W. Flood beam design: the45 degree flood LED is a great option if you're looking for a good area light. The flood version providestwice the area coverage than the spot. Light Angle :45 degree Flood Beam. 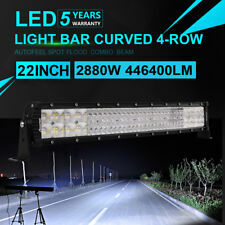 1x 4 2" 2592W Combo L ED light bar. Beam Angle: 30 degree(spot beam) & 150 degree (flood beam) combo. LED WORK LIGHT BAR. LED HEADLIGHT. Need Dual Color Wiring to achieve two-color function. If you are looking for high quality LED Headlight & Work Light Bar, you are in the right place ! LED Power: 24W. The light has an adjustable stainless steel mounting bracket and operates within a wide 9V-35V DC range. A White Painted aluminum housing and PC lens protect internal components, and an integral heat sink allows LEDs to run cool, which leads to an incredibly long life span. LED bar s ize: 80mm x 97mm x 64mm (H x W x D) (excludes bracket). Warranty: 1 year warranty. Total LED: 6pcs. Led lifespan: 35000 hours. Reflector: Spot light 30 degree. GP Thunder. Power : 9~30V DC. Apply to: Pickup, Wagon, UTB, Cab, ATV, SUV, Jeep, Truck, Boat, Bus. LED LIGHT BAR. K Series Single Slim Row Specifications. With 5 year warranty, CE & RoHS, IP68 Approved.With its unbreakable polycarbonate lens, durable UV-resistant powder-coat and advanced patented optics system. 2pcs 160w Flush LED Work Lights. LED WORK LIGHT BAR. LED HEADLIGHT. Once installed, these lights look like an OEM factory upgrade. If you are looking for high quality LED Headlight & Work Light Bar, you are in the right place ! 6pcs intense CREE LED. 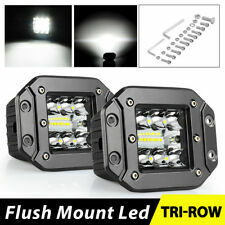 2x 4" 24W Pods Cube Flood LED work lights. Power: 24W. Color Temperature: 6000K. Saving more energy, efficientand so on. 4X18W LED Lights. Test the light to make sure it can work properly. (Red line is positive, black line is negative.). Make sure the light is installed steadily, And then start the power. LED Power: 30W. Opitonal Beam: Spot 30 degree beam pattern. Lens material: PMMA glass. Our goal is to make your choice easier and save your money. The bracket is easy to install. Long life span and stable performance. Compatible With: 5202 H16. 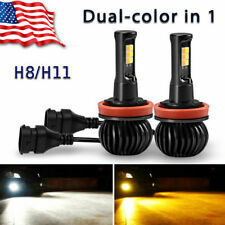 Description: This listing is for pair of 5202,12086,PS24W,H16 high power Cree XBD super bright LED Fog light DRL. This bulb is equpped with high quality CREE LED chips and solid alloy mold, it will be much brighter than your original halogen bulb. It come with xenon white lighting that make your bulbs look great, just try it, enjoy it. Feature: LED Type: Original Cree XBD LED Quantiy: 10PCS/PER BULB Brightness: 1200Lumens/PER BULB,TOTAL 2400LM. Life span: 60,000hrs Material: Alloy & ABS Cross Refer: 5202,12086,PS24W,H16,etc. Application: Fog light, DRL( daytime running light). Key Feature: 40pcs High intensity CREE LED chips Combo Spot reflector cups design, 1 Lux@ 320 meter. 30°spot and 60° combo beam output. Top-binned and perfectly constructed, high powered LEDs with efficient optics reflector High light transmission unbreakable PMMA lens maximum lifespan. Oversize grove heat dissipation fins for efficient cooling. IP68 waterproof, dustproof & quakeproof for extreme environment. Two-bolt mounting system make it is possible to install for a perfect beam. Ideal for reversing lights, daytime running lights, on and off road work lamps. Full die-cast aluminum profile,wear & corrosion resistant enough to withstand any harsh environment,also doubling as heat sink. Apply totrucks, off-road vehicles, 4x4, military, mining, boating, Marine deck lighting, Caravan awning. Led Power: 5D 240W Led chip. Color Temperature: 3000K 6500K (Strobe Light). White strobe. Yellow Strobe. Specialized Vehicles: fire engine, police car, rescue vehicle, communication vehicle, military command vehicle etc. PRODUCT Description: Bulb Size: 9005 HB3 Application: Fog Driving Lights / Daytime Running Light DRL LED Type: 4pcs 2020smd Beam Type: 360°Beam Angle Color Temperature: 6000K Super White Lumens: 1500LM/Bulb 3000LM Total Working Voltage: DC 12V to 24V Lifespan: 50000 working hours ,Adopt imported chips, stable quality, long service life(Concave-convex appearance, increased heat dissipation surface, perfect heat dissipation. LED type: CREE COB LEDs. Compatible With: H3. Color Temperature： 6000K White. To Fit: Fog Lights KIt. Application: Fog Lights. 2 x High Power LED Lights Bulbs. Number of Bulbs: 2. LED lights than traditional halogen energy, more power. 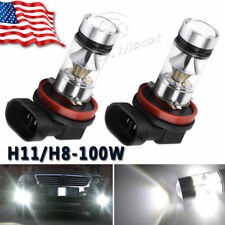 ◆ Plug Type: 9005 9006 H11 ,Hi-Lo beam,Fog Light. Compatible With: 9005 / HB3 / 9145 / 9140 / H10 / 9011 / 9005XS, 9006/ HB4/9012/9006XS, H11/H8/H9. Headlight Bulb. 2x 9005 LED headlight bulbs. 2x 9006 LED headlight bulbs. Power: 240W---(24000lm). Support RGB light effect Sync with music rhythm in music mode, support DIT light effect. Pending aperture system blocks unused light for a clean beam. Designed to project more effective light to faraway and surround areas without foggy light/dark zone. The compatible vehicle lists is only partial lists,no fully included due o Ebay listing compatible vehicles limitation. IF your car plug is H16 5202 12086 PS24W，the item is fit your car . The compatible vehicle lists is only partial lists,no fully included due o Ebay listing compatible vehicles limitation. IF your car plug is H10 9145 9140，the item is fit your car . Power: 1088W 144W. We are the Largest Manufacturer of Light Bar & Headlight Bulbs. Price: Factory outlet. Brightest bar on market CURRENTLY. High quality with best price. 1, HIgh output perforrmance,Perfect light distributoin and high output,HIgh efficiency reflector cup design.